The life of the Early Church is starkly different from many churches today mostly closed except short hours of Wednesday evenings and Sunday mornings. If any church planter seeks to find a right model of a true church, the Book of Acts is resource that they should first scrutinize. The church in early days of Christianity was of constant vitality and life which propelled a continuous expansion beyond Jerusalem and Palestinian area. Pastor Peter Jung in New York City Immanuel delivered a sermon focused on this theme, “Strengthening community by taking the model of the Early Church”. The New Testament era is governed and led by the power of the Holy Spirit who forms the community and breathes into it. God reveals his plan and acting power through the church community that consists of people from diverse backgrounds. The book of Acts displays explicitly how the early church stood and lived by many stories in the beginning chapters. The vitality, passion and even strictness of the early community should be revived in this time to make church impactful in the society. Pastor Jung highlighted the very basic of early believers’ church life; gathering frequently even everyday. This simple habit of the church was a core source of growth and strength which today’s churches should follow prior to any other church growth strategies or techniques. When people gather and pray together, Lord’s power and influence is revealed and realized. Those who desire to experience heavenly intervention should first escape their own confining comfort zone and join the community. God works through the community as He activates his collective power and will in man’s life. Immanuel Community Church(immanueli.org) located at the south of Bronx holds programs to reach thirsty souls of the city to help them know Christ and his love. The church hopes to go deeper into the surrounding community as well as crowded points of the city in different boroughs. 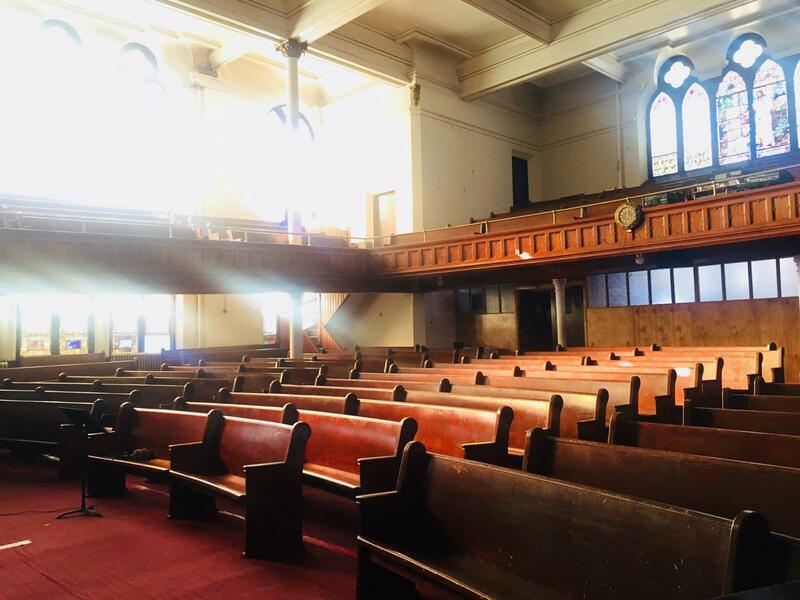 Collaborating with various ministries and fellowships, Immanuel is running Bible programs, outreach activities and events in key points of New York City to live out the Early Church model and bring people closer to the Lord Jesus Christ.